Our First Birthday Cap - Pink. Your little girl will be the center of attention in this fun and stylish 1st birthday hat. 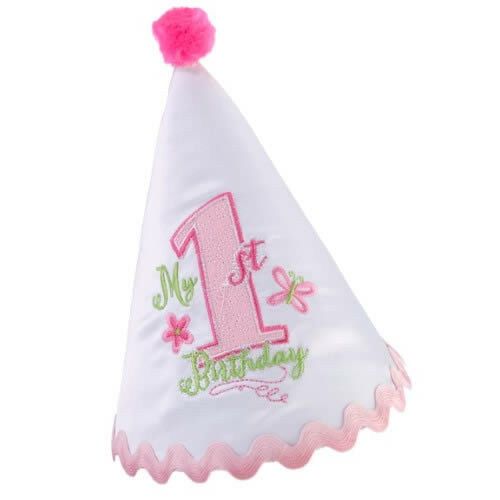 This party hat measures 8" with the words "My 1st birthday" printed on the front. The pink trim and pom-pom details complete this party hat for the birthday girl. Also available in blue for the birthday boy.